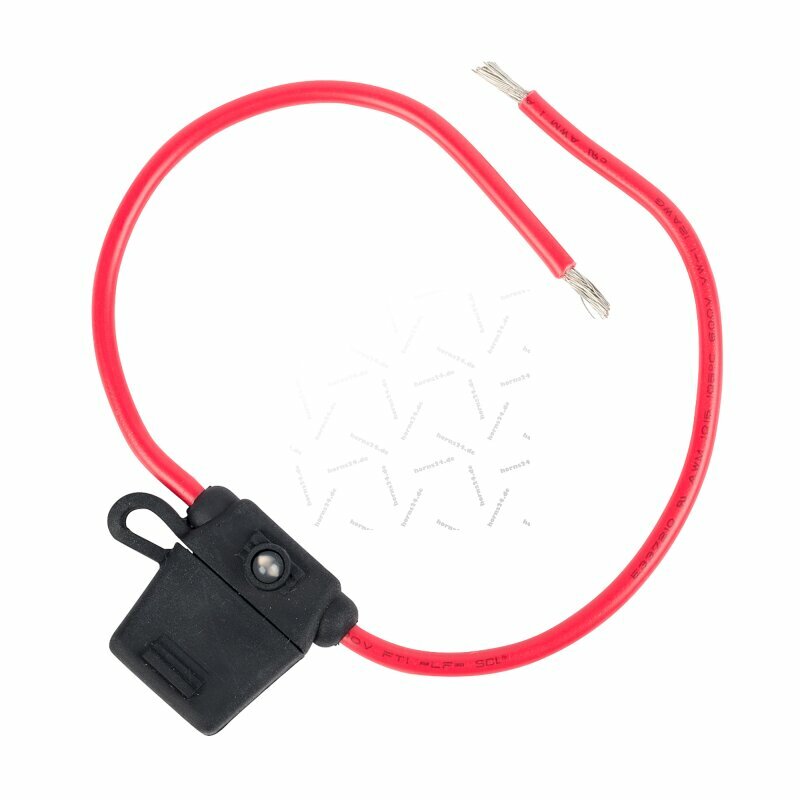 Fuse holder with LED. Pour les fusibles plats standard. 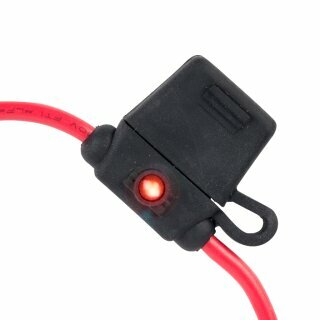 LED turns red when the fuse is broken or has been removed! Item information: 12AWG weatherproof ATO/ATC fuse holder with LED LED: turns red when the fuse is broken or has been removed. 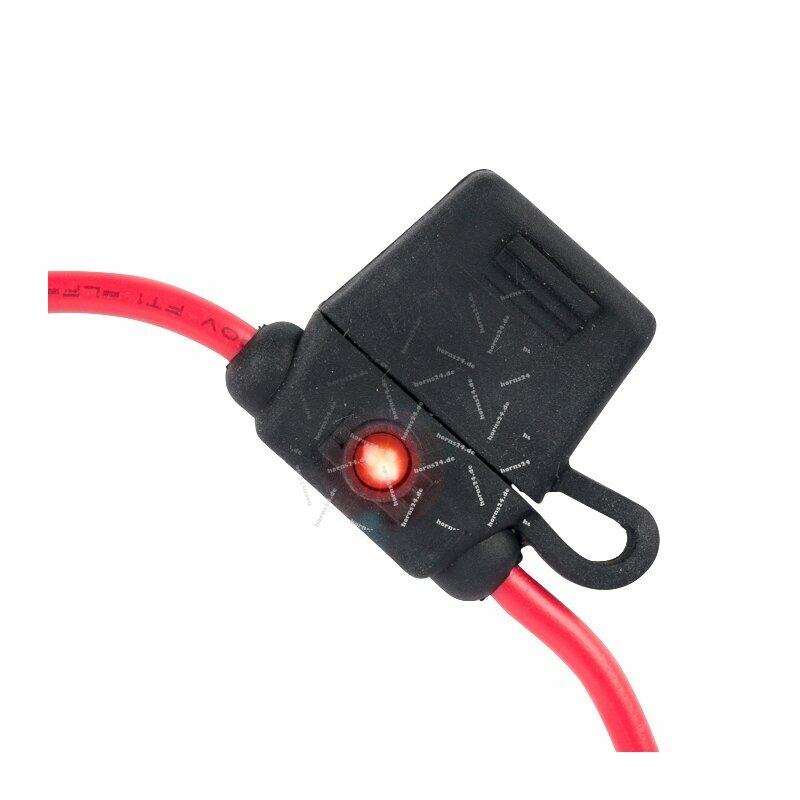 Rated power: up to 30 Amps by 12V DC Material: plastic and metal Color: as on the picture Power: 12V DC Dimensions: 3.2 cm (H) x 3.2 cm (W) x 1.6 cm (L), cable of ca. 20 cm Features: black, weatherproof and splash-proof casing made of rubber with lid. Lid and casing are connected with a rubber flap. 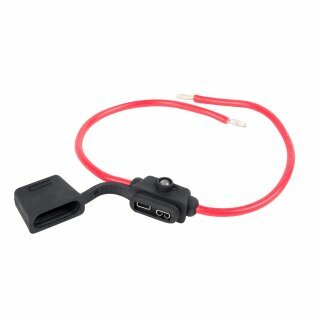 The cable is already pre-assembled in the casing. The fuse will be removed by pulling off the cap. To be used with ATO or ATC fuses.